So here’s an interesting story. An American decides to live out his golden years in the tropics of Costa Rica. There he meets a German gentleman who owns a couple of acres about 10 miles away from the Pacific coast. A few months later, the American hears that the German gentleman was found singing at a bus stop, completely naked, emaciated, and sick and was promptly sent back to Germany to the waiting arms of his family to recover. How did this happen? It turns out that the German had decided to put himself on a coconut water fast several months long. Upon examination, it was determined that not only was this man depleted of minerals, he also was suffering from a rather extreme vitamin B12 deficiency leading to hallucinations and psychosis. He was promptly pumped full of the vitamin he lacked and sent back to his tropical paradise to live out the rest of his days. In these days of veganism, vegetarianism, cleanses and crash diets, vitamin deficiencies can be all too common, and, while you may not find yourself at the point of naked and singing at bus stops, you should be aware of some of the following signs alerting you that your vitamin intake is not where it should be. This can be a sign that you’re not getting enough zinc, B vitamin, iron or protein. Try putting some organic eggs and poultry in your diet, or try some wild caught Alaskan salmon, organic eggs and poultry or tahini. Also, get some vitamin C in there; it will help with iron absorption. Load up on the broccoli, kale, and cauliflower. If you suffer these symptoms, you may have a biotin deficiency. While the body needs biotin to metabolize fats, amino acids, and carbohydrates, it is probably most known for its ability to strengthen nails and hair and is also a key ingredient in most hair, skin and nail vitamin formulas and shampoos. If you’re looking to get some biotin from your food, cook up some raw egg white or down the whole egg raw. Eating raw egg whites alone can actually lead to a biotin deficiency. These can be signs that you need more essential omega-3 fatty acids as well as vitamins D and A. You can get omega-3 in anchovies and sardines or in a krill oil supplement. Vitamin A can be found in carrots, sweet potatoes, leafy greens, and red bell peppers; and vitamin D can be obtained through safe exposure to the sun. Other signs of B-vitamin deficiency, tingling and prickling in the feet and hands are caused by the effects of the deficiency on the peripheral nerves and can include depression fatigue, anemia and hormone imbalance. If your feet are tingling, try to down some asparagus, spinach, organic eggs and poultry, or grass fed beef. Muscle cramps can be caused by a lack of magnesium, potassium and calcium. Combat this with some hazelnuts, squash, leafy greens, apples and broccoli. Let the tale be a precautionary one. Take these steps now to avoid vitamin deficiency or risk public embarrassment. If you have any stories or advice about vitamin deficiencies or public embarrassment for that matter, we would love to hear from you! Feel free to send in comments and stories. Is There An Upside To Acne? It is arguable that yearbooks may, in actuality, be a compilation of photos documenting case studies on acne. After all, how many teens can sincerely claim to have been lucky enough to have taken a yearbook photo on a breakout-free day or, for that matter, how many teens can actually claim to have attended high school on a breakout free day? Unfortunately, it seems that the graduation, intended to be a celebration of a coming of age, is more often a woeful testimonial to a less than perfect adolescence. Do any high schools offer photoshop on student’s yearbook photos? Please feel free to weigh in. Anyway, if you are one of the unfortunate students whose yearbook was marred with acne, take heart. When reunion time comes around, you will exact revenge! New British research reveals that those afflicted with acne may have an edge when it comes to aging. Telomeres are caps on the end of chromosomes which protect DNA from damages. As we age, the telomeres gradually become shorter and eventually die. As a result, people with long table-mores remain biologically younger than their peers of the same age. A King’s College study of adolescent twins, one-quarter of whom were acne sufferers, found that the telomeres of the acne afflicted were notably longer. Yet another study examining skin samples showed that the gene cluster responsible for cell death was showed less activity in the acne prone. Other research from King’s College, reported in the Journal of Investigative Dermatology,shows that people with a lot of moles may also fare better in their later years. Maybe that explains the eternal youth of Cindy Crawford. Longer telomeres are also associated with stronger bones and less frailty in old age. In parting, all of you who are doomed to a damning yearbook pic, listen to the wise words of Dr. Veronique Bataille who assures that you are going to look, “fantastic in their 40’s and 50’s.” and, “It’s nice to know there’s a positive aspect to having acne.” Knock ’em dead at the reunion! We’d love to hear from you on this. Do you have a reunion revenge story or know anything about the possibility of photoshopping a yearbook photo? Curious minds want to know. How Does The Pill Help Reduce Acne? If you have acne, the struggle is real. You’ve bailed on your plans with friends, foresworn chocolate, and fried food tried every product on the market, and even considered joining a heavy metal band so you have an excuse for painting your face. Acne is an unfortunate right of passage and, although it may seem like every time you zap that last zit, a new batch is on its way, you will survive it. Hey, Adam Levine and Julianne Hough both admitted to having acne and look at them now! Maybe having acne increases your chances of ending up on reality TV! And if you are female, you have one advantage over Adam Levine: birth control! Going on “the pill” can make a big difference in your skin. It regulates the hormones, which are especially important to devoting young women who’d may be adjusting to menstruation. ‘The pill’ contains estrogen and progestin. These are the same hormones being made by your body. When you take ‘the pill’ it can override your body’s signals to ovulate, or release an egg, thus the birth control part. However, as an added bonus, the oil also lowers your body’s testosterone level, which reduces acne. Will the Pill Work for You? Dr. Jennifer Ashton, OB-GYN and senior medical contributor for Good Morning America says, “I would say that 90% of girls’ skin problems improve dramatically or completely resolve within six months of starting the pill.” However, she does warn that sometimes the acne, depending on the way your body reacts to the pill, will get worse before it gets better. So give it a chance. Rouleau suggests you wait 90 days before you make a decision on whether or not to continue using it. Convenience: The pill is only available by prescription and needs to be taken at the same time every day. Studies have not shown a major difference among these in the way they treat acne. Nausea, vomiting, stomach cramps, bloating, weight gain, weight loss, headaches, breast tenderness and dizziness, and turning into a judge on a reality show. Proceed with caution. Pimples are never a fun thing to have to deal with. Nobody likes having unsightly, sometimes painful blocked pores to deal with, especially when they catch you by surprise or linger way longer than they should. And to make matters worse, not all pimples are created equal, and as such some require different treatment than others, and some are more severe than others. So how do you tell the difference, and how do you know which ones you can take care of at home and which ones you need a dermatologist’s help with? Keep reading and you’ll find out. You might not think we’d need to define what exactly a pimple is, but it’s important to clarify before we move on; it’s always a good habit to review a concept before examining it in further detail. 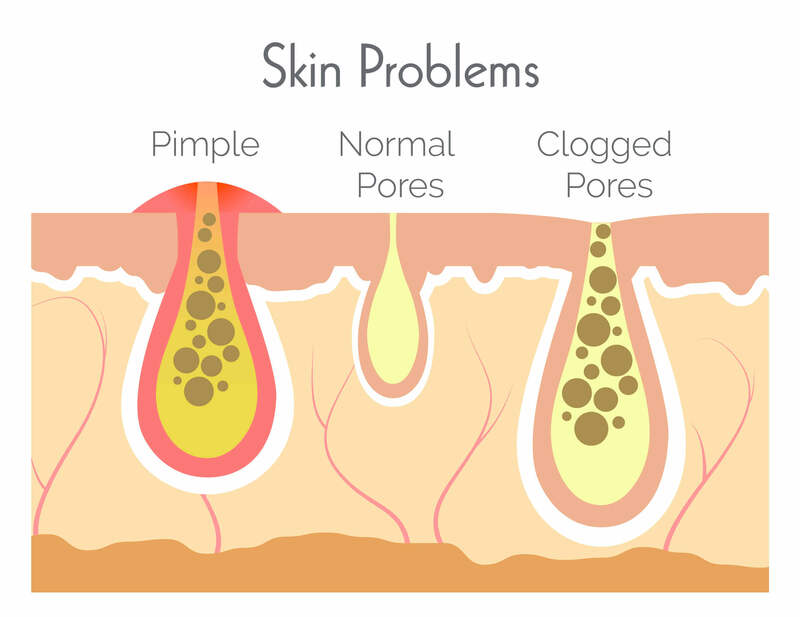 The term “pimple” is a broad umbrella term that encompasses a variety of localized infections that all share the common trait of occurring within pores that have been blocked by some form of debris (anything from oil to makeup you forgot to take off can do it) and as such, ceased to function properly—pores need to be open to “respire” and do their job properly. The most common and, thankfully, least serious, and easiest to deal with pimples are blackheads and whiteheads. Both tend to be rather tiny. Blackheads are clogged pores that remain open, so the blockage is easily visible and has a blackish appearance. Whiteheads are similar but have closed up around the blockage and appear more whitish. Both can be treated with products that contain salicylic acid, and may benefit from light to moderate exfoliation. Give it a few weeks, resist the urge to pop (seriously, you don’t want the acne scars; don’t do it), and they’ll more than likely go away. If they don’t, though, feel free to talk to a dermatologist about other methods of treatment. It’s unlikely you’ll have to, though, as blackheads and whiteheads should respond to daily salicylic acid treatment (look for face washes, scrubs, and even moisturizers with this ingredient) and once to twice-weekly exfoliation. These are the “middle of the road” pimples, meaning it’s a coin flip whether you’ll be able to take care of them on your own or need to see the doctor. Pustules and papules are pimples that have grown so large the pore walls have broken. Papules are hard bumps in the skin, while pustules are a bit softer and visibly filled with pus. Again, resist the urge to pop. Try salicylic acid and exfoliation as described above, but seek immediate treatment by a dermatologist if this isn’t working after three or so weeks. The worst, but fortunately, least common types of pimples are nodules and cysts. These are blocked pores which have gotten irritated and expanded outward and inward (they go deeper into your skin and are visibly much larger than any other pimple type). Nodules are hard, while cysts are softer to the touch and may be visibly reddened and irritated. If you have any nodules and/or cysts, don’t waste time with home treatment. Make an appointment with a dermatologist today. Physical Exfoliation – Uses washcloths, facial brushes, dry brushes or scrubs that use exfoliating ingredients like sugar or salt. Chemical Exfoliation – Works by dissolving the “glue” that binds skin cells and sloughing them from the skin. The most commonly used chemical exfoliants are alpha- and beta-hydroxy acids, though retinol is also used in many anti-aging products because it stimulates cell turnover. Why is Exfoliation Important for Healthy Skin? Your cells naturally regenerate, but the process slows down considerably as you age. As these skin cells pile up on your face, you may notice that your face looks dull, feels rough and appears dry. 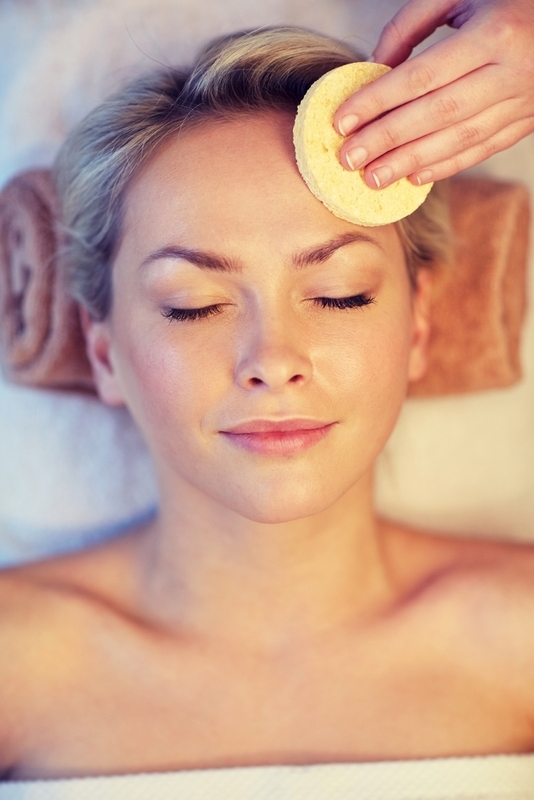 Additionally, allowing these dead skin cells to accumulate can result in clogged pores which cause blemishes and acne. Clear Breakouts and Acne – Skin that is acne-prone sheds more skin cells than any other type of skin, but these skin cells don’t fall away from the face. These skin cells stick to the surface of your skin and clog your pores and follicles which causes your skin to produce more oil that causes blackheads and other blemishes. Exfoliating your skin regularly reduces skin buildup and decreases the likelihood of blemishes forming. Improves Skin Texture – When you exfoliate dead skin cells away, your skin’s natural renewal process is sped up which allows younger, healthier skin to take the place of the dry, dead cells. This will even out complexion taking it from dull to bright and rough to smooth. Minimize the Appearance of Pores – Dead skin cells on the surface of your skin clogs your pores and can trap other dirt and debris in your pores which make your pores appear larger. Exfoliating your skin essentially decongests them and diminishes the appearance of your pores. Reduce Visible Signs of Aging – Your skin becomes drier and less elastic during the aging process which results in visible signs of aging. As previously mentioned, regular exfoliation changes the rough texture of aging skin to a smooth texture. Exfoliating also reveals more luminous skin and can help to combat other signs of aging like discoloration from both age and sunspots. Exfoliation is critical for healthy, youthful looking skin and it makes your skin care products more effective. You can exfoliate your entire body to see smoother, more even skin, but be careful that you don’t overdo it. Using harsh scrubs can cause damage, so it’s best to stick with gentle exfoliators. As a general rule, exfoliating two to three times each week is plenty to keep your skin free from dead skin cell debris, but some people that use very low concentrations of alpha- or beta-hydroxy acids may exfoliate every night. Start exfoliating today to reveal younger and healthier skin. You’ve heard it said that “an apple a day keeps the doctor away,” and when it comes to your dermatologist this may have some truth. Apples contain tons of flavonoids, a diverse group of plant pigments with antioxidant properties, in addition to polyphenols and vitamins C and E. Learn how to use this delectable fruit for beautiful skin below. One of the most buzzed about uses for apples in skincare is their ability to fight acne. Apples are full of water which is important because balanced hydration is a key component to clear skin. Additionally, apples are a source of dietary fiber and aid in healthy digestion, which also plays a role in healthy skin. Apples also contain vitamin C, which is a powerful antioxidant that helps your skin fight further damage from free radicals. Eating apples or drinking natural, pure apple juice can help provide these anti-acne benefits. You can also make your own face mask by mashing half of an apple, adding milk cream and letting the mixture sit on your skin for 15-20 minutes. Keep reading to learn how to use apples as a toner for clearer skin. We already told you that apples have a high water content and they also have vitamin E, an ingredient that helps keep skin soft and hydrated. You can hydrate your skin with apples by eating them, or you can do another DIY facial treatment for maximum moisture benefits. Thinly slice half of an apple and place these slices on your face. Leave them on your face until the slices are dry (this is a great time to take a bath, grab a book or catch up on your favorite TV shows). Added bonus, this apple facial treatment adds hydration to your skin, and also balances the oils on your face. If you want to achieve that goddess glow, apples are your friend thanks to their levels of collagen and elastin. These two ingredients are essential for skin that looks plump, young and radiant. An apple mask (see the one we mention above for skin hydration) can help provide a youthful glow, and simply incorporating this fruit into your diet helps to brighten and lighten your complexion as well. Apples help stimulate blood circulation and they help tighten your skin as well. To use apples as a toner, either use raw apple pulp or grab a high-quality, unfiltered bottle of apple cider vinegar. Look for bottles that specify that the apple cider vinegar is raw, unfiltered and that it “contains the mother.” Simply wet a cotton ball or cotton pad with the apple cider vinegar and sweep over your face and neck. It is important to mention that no food is meant to be a cure-all for any condition, though there are certainly health and skin benefits contained within them. Keeping apples around your house encourages you to eat healthier and provides you with a staple for DIY facial treatments. When eating the apples, be sure to leave skins on because that is where much of the nutritional benefits are contained. Have fun enjoying this fall food that elevates your health while improving your skin. It would be wonderful if you could use some magic potion and rid your skin of pimples and blemishes. Sadly, there is no such magic cream or face wash that will give your acne prone skin and immediately flawless face. Luckily, there is makeup. Covering up your pimples and zits may seem daunting or overwhelming, but there are some tricks that beauty insiders know to help ensure your makeup application isn’t too heavy, cakey or unrealistic looking. This Resveralife Look Well Guide has a list of the top tips for applying makeup to your acne prone skin. You know that you should always apply makeup to a clean face. Also, you should wash your hands just before applying your makeup. If you have acne prone skin, the last thing you want to do is introduce more bacteria to your face. A clean face and clean hands help reduce the chance of spreading further bacteria. Next, if you want to, use a toner that is free of alcohol. 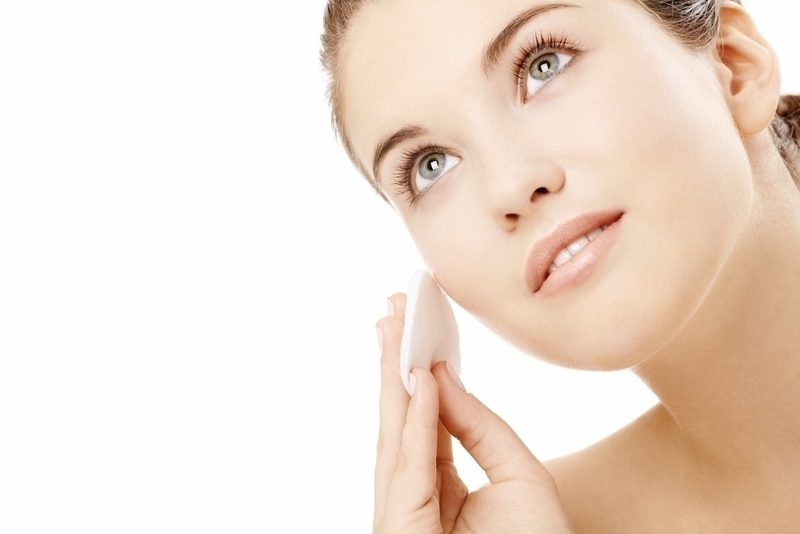 A toner can help soak up excess oil prior to makeup application. Finally, make sure your skin is well moisturized because this helps your makeup glide on more smoothly and evenly. 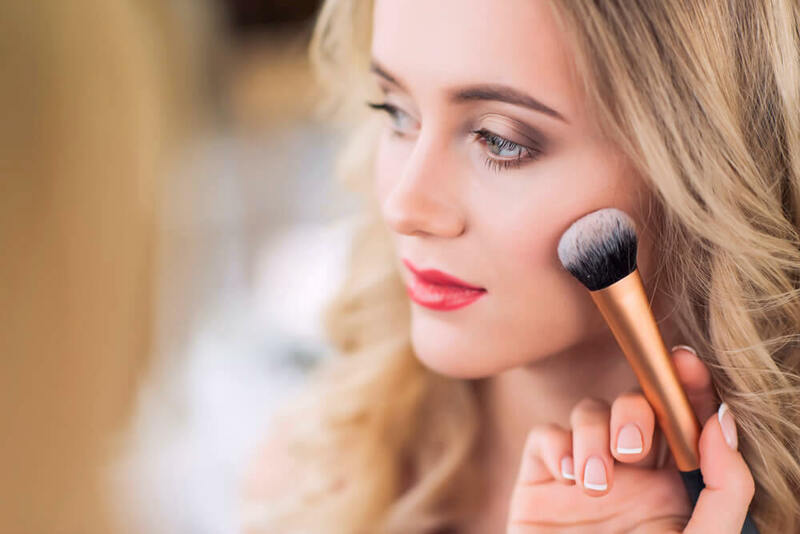 Before you can apply makeup, you have to select it and when you opt for the best makeup types for acne prone skin, it makes application that much easier. Renowned skin expert Paula Begoun suggests several formulas that generally work very well on acne prone skin. 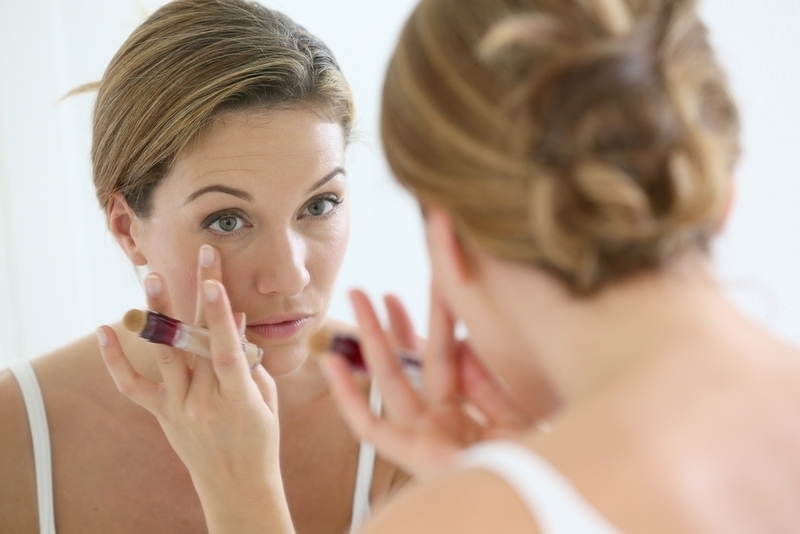 In all of your makeup, from foundation to bronzer, there are certain things to avoid. Begoun advises that it is very important to avoid alcohol-based or fragrance loaded skincare or makeup products. Because alcohol is drying, it actually stimulates the skin to produce more oil, which is definitely not what you want. Additionally, Begoun suggests that you stay away from thick formulations such as creams, sticks, pancake makeup or cream-to-powder formulas. That advice is not only for your foundation, but all of your products like blush, bronzer and concealer. So what formulations do work for acne prone skin? Begoun suggests using liquid foundations such as Urban Decay Naked Skin or Rimmel London Stay Matte. While you might be inclined to heavily cover your face with makeup, experts advise strongly against this. Famed makeup artist Lisa Eldridge recommends finding a medium coverage foundation that sheers out well and leaves your skin looking like, well, skin. She states that you should put on your foundation without worrying about your spots, but just to achieve an even coverage for radiant skin. Next, use a concealer to spot conceal your blemishes. Eldridge spends a good deal of time applying concealer with a tiny brush to cover the spot, then she blends outward to ensure the coverage appears seamless. You don’t want to leave your face looking one-dimensional with just the foundation and concealer, so you add some color with blush and bronzer. Though liquid foundation is recommended for acne prone skin, gel, liquid or cream blushes and bronzers are not suggested. Rather, stick to powder products when adding color to your face. Additionally, sticking to a matte powder product is your best bet as matte colors do not enhance the appearance of pores the way that shimmery products do. As with any skin type, it may take a lot of trial and error before you find products that work with your skin. If you want to get a jump on figuring out what products may work best for you, stay tuned to your favorite Vine Vera channels for a comprehensive list of skin care and makeup products as well as their ingredients. Resveralife came across a study that was published in the Dermatology and Therapy Journal in the year 2014. The study was conducted by a group of researchers working for the UCLA and it discovered that resveratrol, a compound found in the skin of red grapes, can help in inhibiting the growth of bacteria that leads to acne. Resveratrol has also been prescribed by specialists because of its skin benefits and heart-health properties. The researchers discovered that combining benzoyl peroxide (a common acne medication) with resveratrol substantially enhanced the drug’s effectiveness in killing the acne bacteria and also inhibits its growth. Resveratrol is an excellent antioxidant that prevents the cell and tissue damage caused by free radicals. On the other hand, benzoyl peroxide is an oxidant that creates free radicals, which in turn kill the acne bacteria. According to the findings of this study, a combination of benzoyl peroxide and resveratrol attacked the Propionibacterium acnes (the acne causing bacteria) in multiple ways. Millions of people are known to suffer from acne all over the world. The appearance of acne has a significant psychosocial effect on the person who suffers from it, but very limited progress has been made in terms of offering effective acne solutions. Researchers have mentioned that all current treatments like retinoids and benzoyl peroxide are limited by side effects and antibiotic resistance. According to Dr. Emma Taylor, the first author of this study, the researchers initially believed that the combination of the two ingredients would cancel out because the two compounds are opposing. However, in reality, the study ended up demonstrating that combining an antioxidant with an oxidant can not only enhance both ingredients, but also offer sustained bacteria-fighting capabilities over a period of time. As a part of the study, researchers grew colonies of acne causing bacteria and added different concentrations of both ingredients, including individual ingredient compositions. The cultures were monitored for bacterial activity for a period of 10 days. It was found that benzoyl peroxide killed the bacteria at all concentration levels, but the effect never lasted for more than 24 hours. Cultures that only had resveratrol showed inhibited bacteria growth for a longer period of time. However, cultures that had a combination of both ingredients proved to be the most effective in reducing bacteria both in terms of count and duration. Dr. Jenny Kim, a senior author of the study, mentions that the results were almost like combining the best of different worlds to offer the body a two-pronged protection from the acne causing bacteria. The researchers also tested both compounds for their toxicity on cultured human blood cells and skin cells. It was noted that resveratrol was less toxic than benzoyl peroxide. This explained the reasons why the skin becomes irritated and reddish when high doses of benzoyl peroxide are used to treat acne. Researchers noted that combining both compounds minimized their toxicity and offered a prolonged antibacterial effect on the acne causing bacteria. These findings could actually lead to less irritating and more effective topical therapies for acne. The next step of this study is expected to involve more laboratory testings so as understand the mechanisms of both compounds better. Vine Vera believes that this study shows great promise for people suffering from acne issues because it could lead to the development of a number of highly effective treatments.